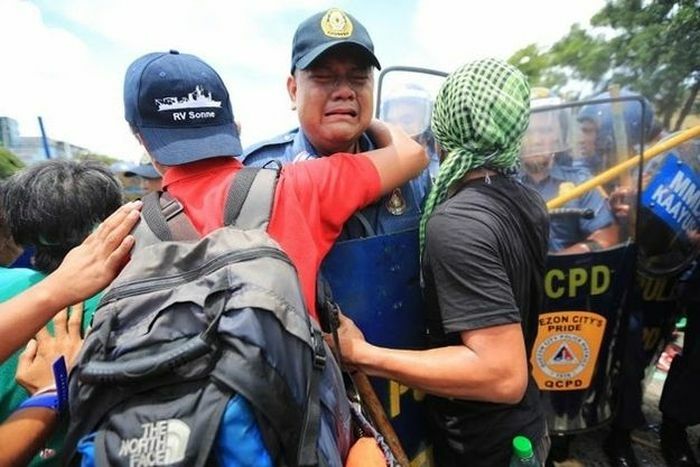 Riot cop Joselito Sevilla broke into tears while trying to block protesters in the Philippines with his shield and baton. 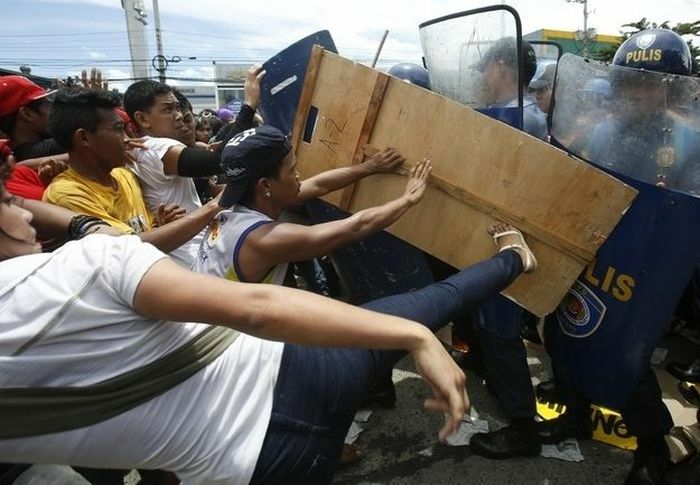 "I am a policeman, I’m just doing my job," he said. 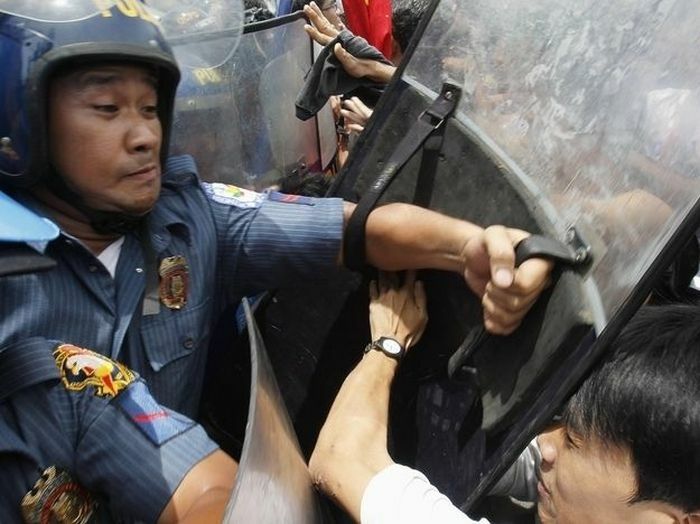 It was his first riot duty. The protesters gathered around to show him some support. Well... he doesn't qualify as a third world cop. Looks like he's disgusted in humanity? Hes on the wrong side.